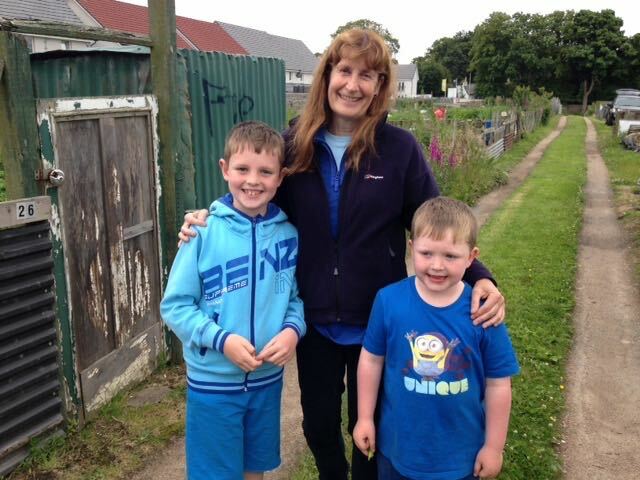 On Thursday afternoon Carole Baxter for the BBC Scotland’s Beechgrove Garden came to call. Carole was on site to record materials for a new BBC Radio programme and interviewed a number of our plotters. On hand were Harry and Leo with Mum, Anne. When asked what they liked eating most on the plot, Harry knew just what to reply – chocolate! Leo on the other hand went for carrots: good answer, but they are better still if dipped in chocolate of course.